A unique example of a Scottish vernacular style tower house located in an English County. Formerly this area was known as the Debatable Lands. An area notorious for it’s inter family feuds and cross border allegiances, neither Scotland or England had any control over the Debatable Lands and as the name suggests neither country was keen to claim this lawless area. The Tower was built in 1584 by the infamous border reiver Ritchie Graham on the site of an earlier tower perhaps dating back to the 13th Century. All other tower houses of this style ended up being officially Scottish once the border was drawn up leaving Brackenhill a unique example of a Scottish Clan tower house built in the Scottish style but on English soil. Ritchie Graham was a notorious Border Reiver at the height of reiving along the border (Reiv – means to steal). The reiving period is roughly categorised as 1450 – 1610 and the history is a mixture of fact and folk law. Reivers were Clans who lived in the border territories, pragmatic survivors who would turn any circumstance to their advantage. 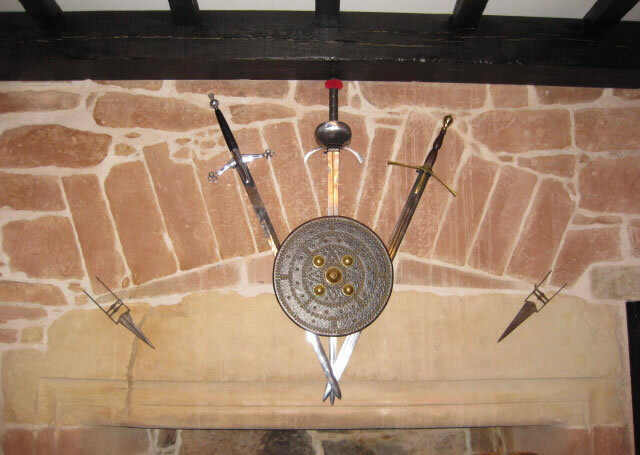 It was essential to have a strong fortified house for the protection of your family, Clan cattle and possessions, Brackenhill served this purpose. MURDER – In 1584 the same year as the date stone now in the great hall of Brackenhill he was accused of murdering “Parcivalls Geordie” (George Graham) by striking him between the shoulder blades with his lance, with that and other wounds inflicted by his accomplices Geordie died later in Carlisle. REIVER – A notorious horse thief, once stealing eighty horses from the provost of Falkland in Fife. On a raid this time south of the border he reputedly returned with £5000 worth of Gold and silver (a fortune in today’s values). COUNTERFEIT COINER – In the top floor of his tower of Brackenhill he employed a “koyner” who transformed the gold and silver to counterfeit coin of the realm. BLACKMAILER – Ritchie Graham is attributed with the term “Blackmail” promising protection from Reivers in return for money or goods the peasant farmers of Gilsland and the lower Esk were reminded of the commitment by a list of their names pinned by a dagger to the door of Artheret church in Longtown. 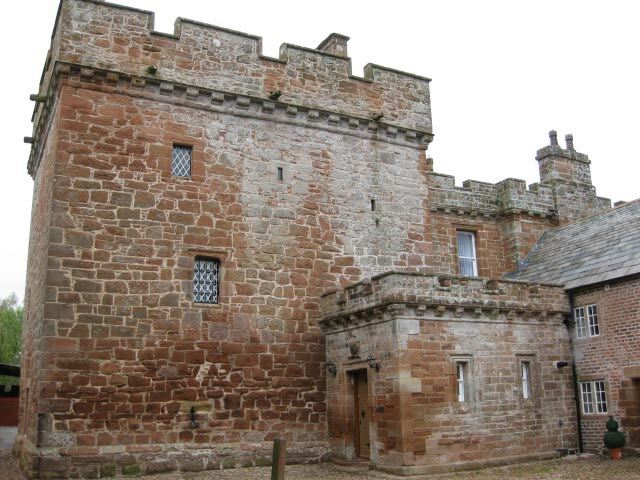 CONSPIRACY & TREASON – On the 6th December 1593 Ritchie Graham fought with sir James Johnstone of Dunskellie (now Cove Estate) at the clan battle of Dryfe sands and helped the Johnstone’s to defeat the Maxwell clan. 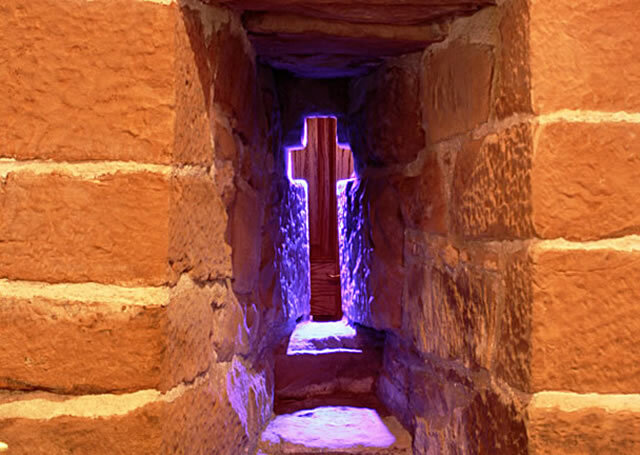 Later in April 1596, Graham was one of the instigators who with James Johnstone of Dunskelly, arranged the escape from prison in Carlisle Castle of “Kinmount Willie” typically allegiances were stronger to friends and fellow reivers than any crown. With the death of Elizabeth I in 1603 and James VI of Scotland becoming also James I of England (union of the crowns) the reiving days were numbered, in the week following Elizabeth’s death, the Grahams along with Armstrong’s, Elliot’s, Johnstone and other Clans went on the rampage and Reived over four thousand cattle, this was known as “Ill week” and much of the Scottish/English border was left in ruin. Time caught up with Ritchie and his Clan and in 1606 James VI/I ordered the transportation of the whole Graham Clan to Ireland although his widow was able to produce title deeds to the tower and regain possession. Around 1717 the 5th Richard Graham constructed the Jacobean Cottage to the South east of the tower. And further additions in 1860 was added by the Standish family who use the tower as a hunting lodge. At this time they also landscaped around the tower to provide a planned hunting landscape. It is extraordinary how careful the Standish family where in retaining the original 16th Century features of the tower where ever possible. By the end of WW2 the Carlyle family were tenants and when the Standish estates were put up for sale the Carlyle’s purchased Brackenhill estate. 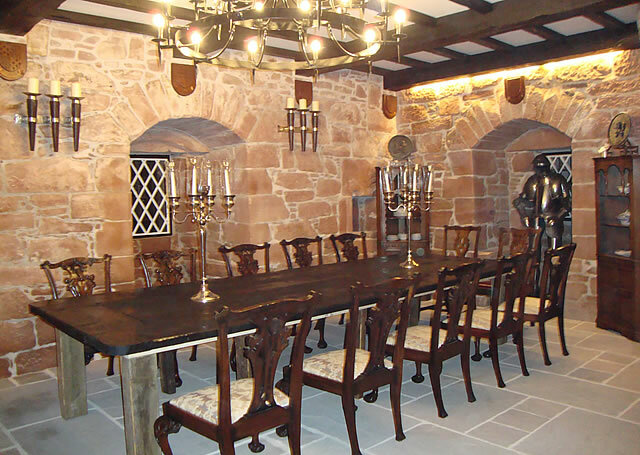 Sadly the Tower, Jacobean Cottage and Victorian additions were ruinous and in danger of total collapse in 2002 when Andy and Jan Ritchie purchased the tower and set about the restoration completed in 2010 hopefully staying true to the historical aspects but forming a comfortable useable living space inside.